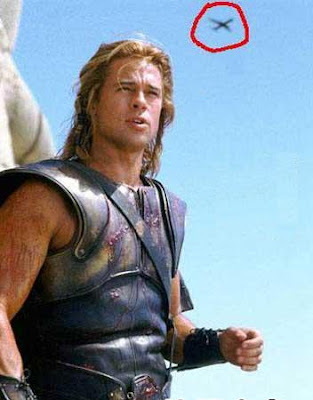 Can you see an airplane over the head of Brad Pitt 'Achilles' of Troy fame? 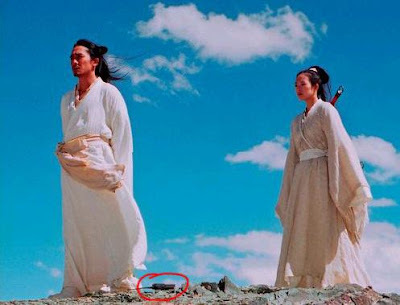 In this martial arts movie, someone forgot to pick the hand held radio lying near the feet of the actors. 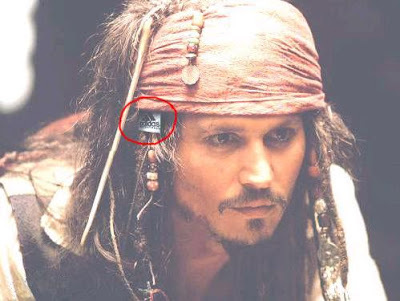 Johnny Depp 'Captain Jack Sparrow' of the Caribbean fame looks like he forgot to tug in the tag. This image may be photoshopped. 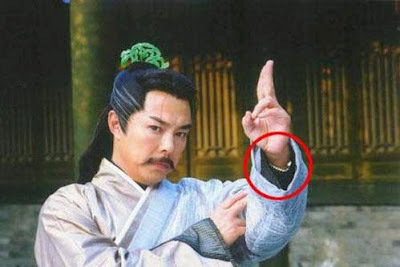 Yet another martial arts movie & this actor looks like he forgot to remove his watch. 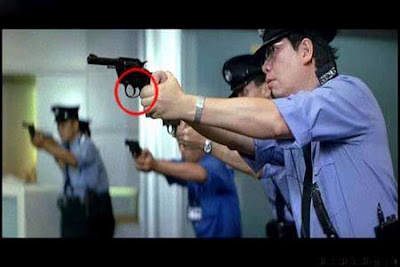 Here is another Asian movie, just check it out where this guy's finger is? Mozart on an Electric Bass. Mona Lisa Drawn In Ms Paint.